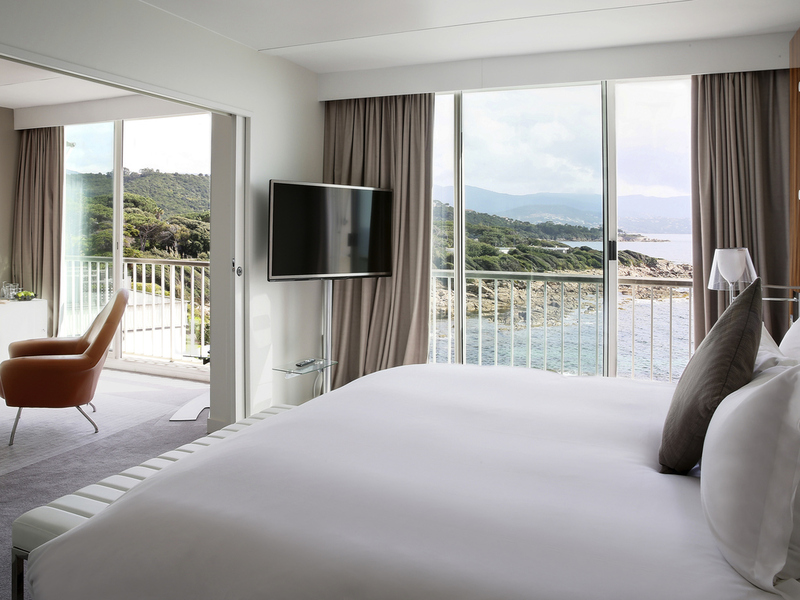 Welcome to southern Corsica and the Sofitel Golfe d'Ajaccio Thalassa sea & spa hotel. Head south for a relaxing 5-star getaway in an exceptional natural setting! Steeped in Mediterranean tradition, this setting pays tribute to the spirit of travel. Experience the chic style of a grand cruise in one of our 98 rooms and suites with sea views, and enjoy our seafront gardens - an inviting, green oasis for relaxation. Set to the front row and enjoy the majestic spectacle of a sunset over the "Sanguinaires Islands". Make your family escapade an unforgettable experience or enhance your business trip with a natural and solar parenthesis. Experience the unparalleled benefits of seawater on a seaside spa break. Let our experts help you find peace of mind. Restore your body's natural balance with custom treatments and tailored coaching sessions. Find balance of body and mind with a treatment program customized to your desires. Our sea-view salons, filled with natural daylight, contribute to the success of your seminars. With a private beach and heated seawater swimming pool, our resort encapsulates the style of the Riviera. Each Sofitel is a unique blend of the French art de vivre and local refinement. Perched on a rocky outcrop in Corsica's Bay of Ajaccio, Sofitel Golfe d'Ajaccio Thalassa Sea & Spa delivers exceptional service and 5-star elegance. This peaceful haven, in a spectacular natural setting between sea and mountains, is the ideal setting for a luxurious seawater spa resort. The Mediterranean style and all the charms of island life are reflected in the rooms, suites, gardens and terraces. Revitalize in our seawater spa to feel the benefits of a getaway where relaxation and bliss are guiding principles. 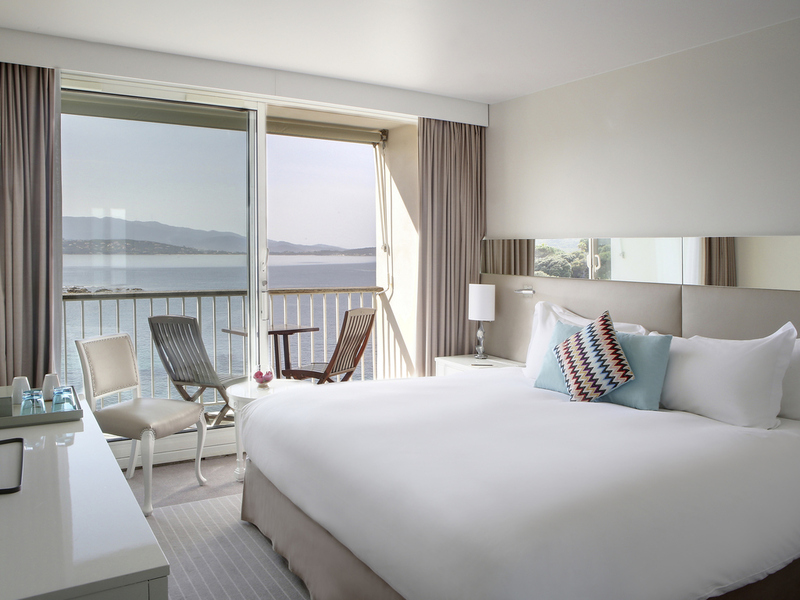 Set course for the Gulf of Ajaccio to enjoy an unforgettable wellness break. To enhance your stay, our team of experts is at your service. Architect Laurent Maugoust invites you on an exclusive journey. Explore the contrast in noble and humble materials, where teak is found alongside driftwood. The play of transparency on lush decor brings back to life the mythical Riviera of the 1960s. 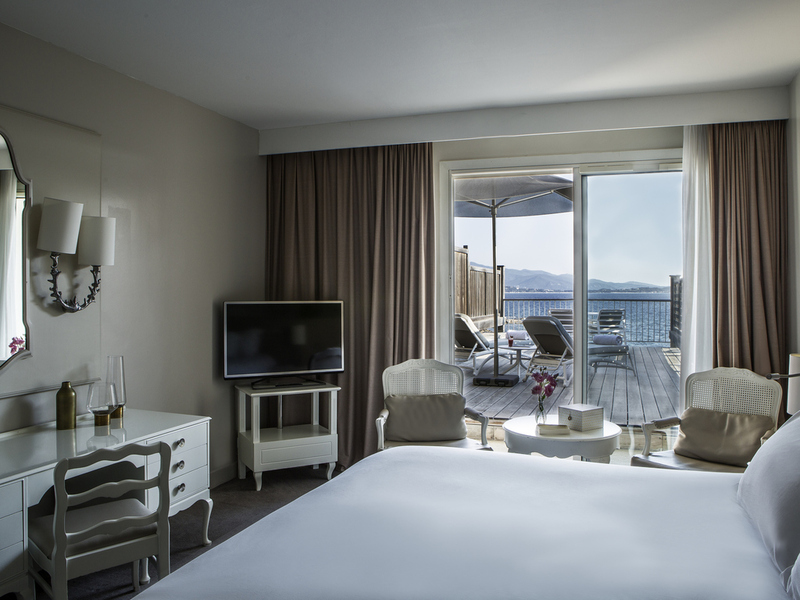 Our 98 rooms and suites, all with sea views, come with the MyBed bedding concept - exclusively developed for Sofitel - the perfect recipe for the sweetest of slumbers. Hermès products and a Bose system add luxury and modernity. Enjoy a relaxing escape! 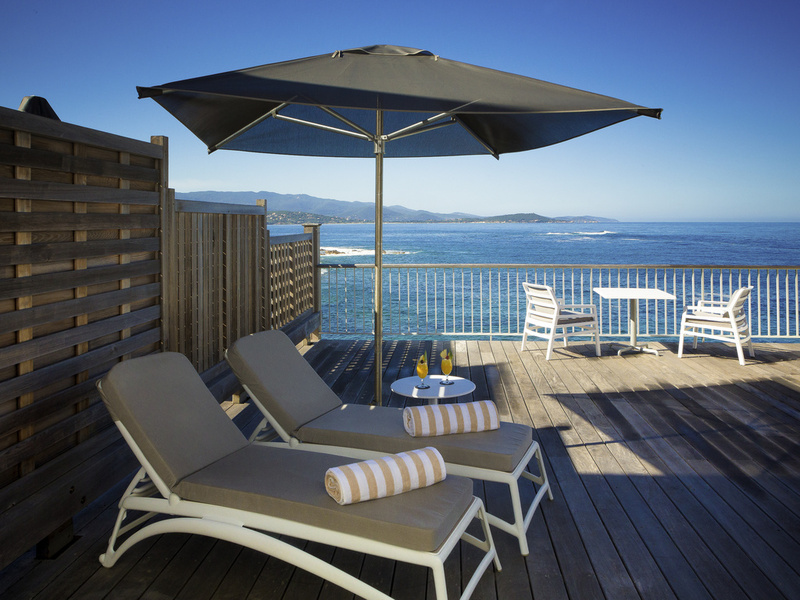 Admire the Gulf of Ajaccio, its southern shore or the Sanguinaires Isles from your private balcony or terrace, bathed in the sunlight of the Isle of Beauty. Connecting rooms available on request so you can share this amazing experience with your family. Enjoy an exceptional stay in Corsica. The 2 Laurent Maugoust Signature Suites offer the elegance found on a cruise with the unique charm of a hotel overlooking the sea, while our Grand Large Suite offers the prestige of a sun-bathed south-facing terrace. Room measuring 237 sq. 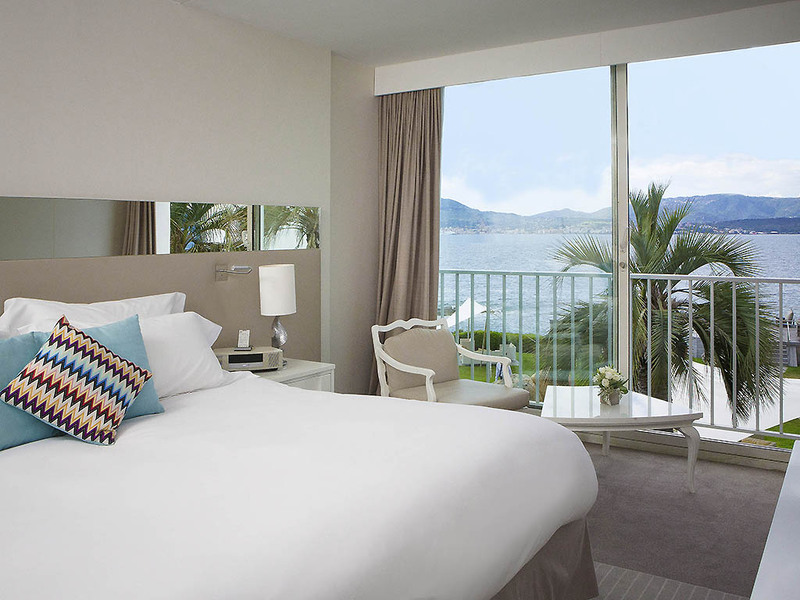 ft. (22m²) with wonderful sea views, Mediterranean-style decor, king size Sofitel MyBed, bathroom with bathtub, and high-speed WIFI connection. Room measuring 237 sq. ft. (22 m²) with balcony and wonderful sea views, Mediterranean-style decor, king size Sofitel MyBed, bathroom with bathtub, and high-speed WIFI connection. South-facing room measuring 291 sq. ft. (27 m²) with a private solarium measuring 377 sq. ft. (35 m²), exclusive MyBed bedding, bathroom with bathtub, Hermès welcome products, desk, high speed WIFI, and tea and coffee making facilities. South-facing room measuring 291 sq. ft. (27 m²) with a private panoramic solarium measuring 484 sq. ft. (45 m²). The room features exclusive MyBed bedding, bathroom with bathtub, Hermès welcome products, desk, high-speed WIFI, and tea/coffee. La Carte Postale restaurant offers Mediterranean-inspired cuisine, combining gourmet and light flavors. The terrace of L'Araucaria is perfect for sunny days, with a fresh and flavorsome menu from the Isle of Beauty. Discover the new "La Carte Postale" bar lounge, bright, colorful and overlooking the Gulf of Ajaccio for a complete change of scenery! Share the "signature" creations of our mixologist, Florie, and enjoy her fascinating cocktails with local flavors! Discover Corsican flavors on the terrace or in the intimate space of La Carte Postale: Le Restaurant. A musical atmosphere and Corsican songs will liven up your summer nights at La Carte Postale: Le Bar Lounge. On sunny days, La Carte Postale unveils its seasonal terrace L'Araucaria, and invites you to take a fresh, gourmet break. La Carte Postale: Le Restaurant at the Sofitel Golfe d'Ajaccio Thalassa Sea & Spa hotel welcomes you to enjoy an exceptional experience in an idyllic setting. Our chef puts a unique spin on traditional Corsican cuisine. Enjoy fruit smoothies and cocktails at this sunny poolside bar in Porticcio - or salads and burgers for a quick pick-me-up before heading back to the beach or thalassotherapy institute. Catch sunset over Ajaccio Bay, then settle in the cozy piano bar. 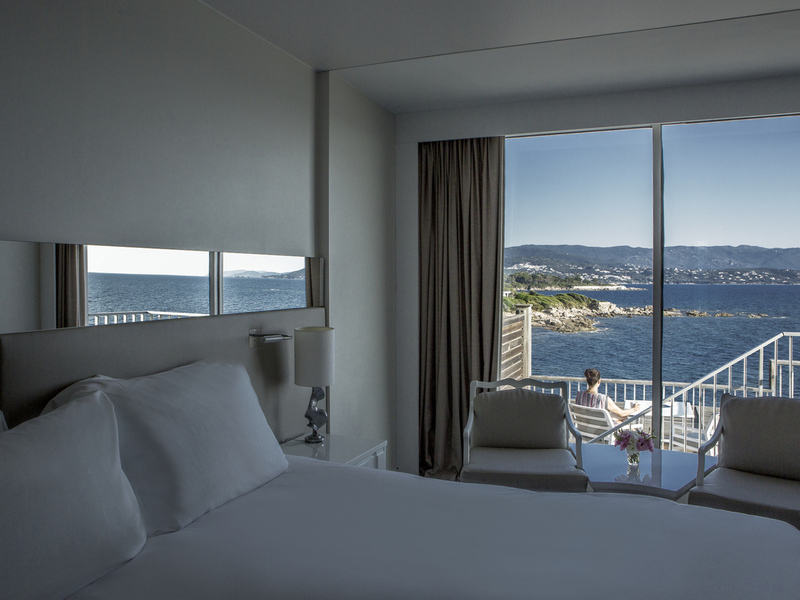 The Sofitel Golfe d'Ajaccio Thalassa Sea and Spa is a unique location for your functions in Corsica. 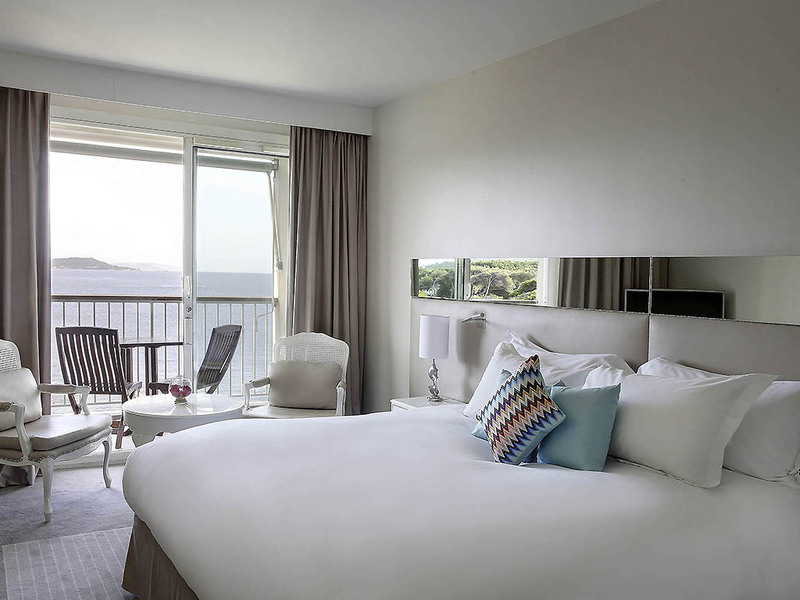 15 minutes from Ajaccio airport, the hotel offers three well-lit rooms overlooking the ocean, each able to accommodate 40 people, so 120 guests in total. Enjoy coffee breaks or a cocktail in the gardens and sample one of chef's creative dishes. The hotel also offers WIFI, a business center and the latest in audiovisual equipment. Add a touch of originality to your seminars and benefit from the savoir-faire of our InspiredMeetings team. At the end of the day, enjoy the spa, water sports or 4x4 course that ensure an unforgettable team-building experience. 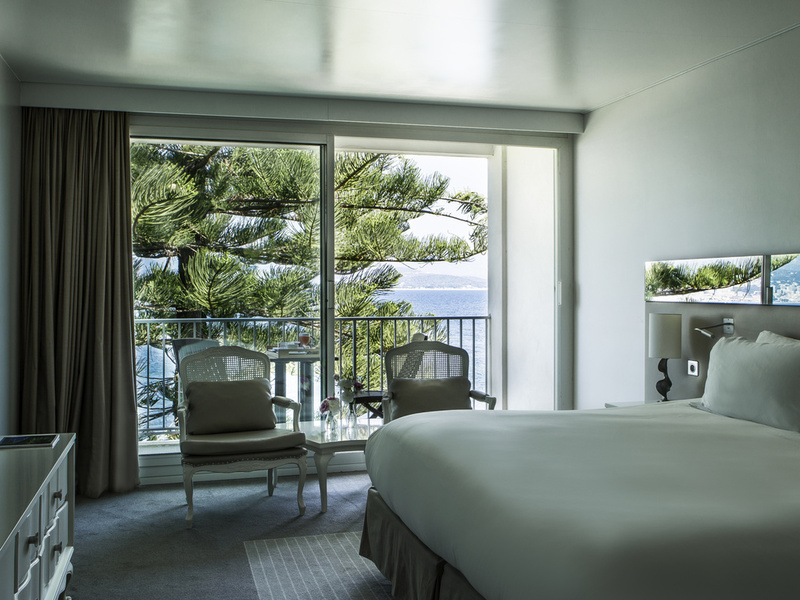 The Sofitel Golfe d'Ajaccio Thalassa Sea & Spa offers seawater treatment, a relaxation area with a hammam and sauna, a fitness center and à la carte beauty and wellness treatments, in partnership with Aquascience, Carita, Leonor Greyl and Corsica Pam. I hope you have a wonderful stay surrounded by the Corsican landscape. Discover the essence of this hypnotic place and take a piece of quintessential Corsica with you. Create magical memories as a family, alone or as a team on this exceptional experience! Tennis court, electric bikes, outdoor swimming pool, private beach, hammam & sauna. Helicopter flights from the hotel, nautical base, canyoning, diving, vehicle and boat rental, ride in a catamaran or yacht - we'll arrange whatever takes your fancy! Stay close to Ajaccio, one of the southernmost cities of Metropolitan France! Experience all the charm of the 'île de beauté', the destination under the sun. Relax and enjoy the many fine sandy beaches and take a dip in the Mediterranean ocean. To make a wonderful stay even more perfect, let our concierge arrange limousine service and have a chauffeur take you on a discovery tour of the Isle of Beauty's many treasures. Enjoy your getaway in total freedom. At the bow of the main deck leading to your cabin, our seawater pool - heated all year long - blends into the horizon. An ode to relaxation, a call to unwind. the historic heart of the hotel echoes the sublime beach that stretches out beyond the gardens.